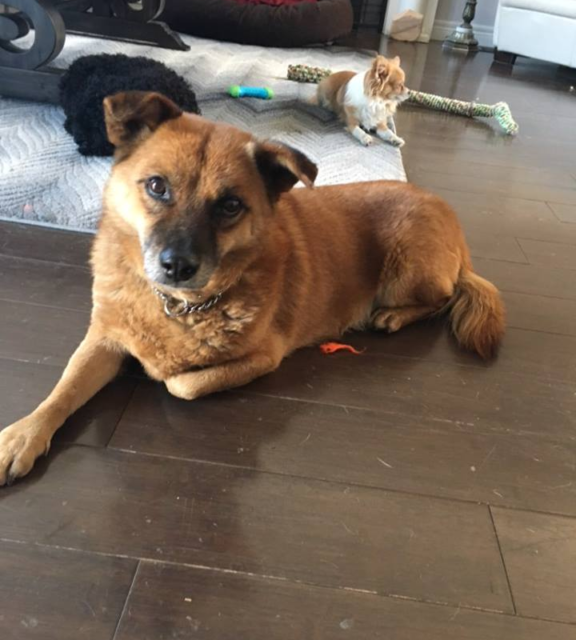 My name is Buddy and I am a Yulin Dog Meat Festival survivor. I am approximately 5 years old and was rescued from a very bad situation and now find myself in a new country where the kind people here have promised I will find my forever home. I will admit, I want to be the only dog in your life. While I can tolerate other dogs, I really don’t feel comfortable living with one, so I need to be the only dog in your (maybe our) home. I like to go for walks and I love to sit with the humans. I’m rather shy at first, but once I warm up I just love love love to be petted and cuddled. If you are interested in adopting Buddy, please complete the adoption application. Once the application has been received and reviewed, a member of the team will be in touch to set up a meet and greet. I will wait patiently for my forever family – is that you? Buddy’s adoption fee is $500. and includes his neuter and up to date vaccinations.